Brit Jones has worked in hospitality since the mid-1990’s. 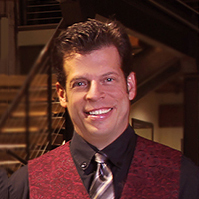 He has worked in a wide variety of restaurants, spanning the spectrum from casual buffet style to distinguished DiRoNA and Four Diamond award-winning, fine dining establishments. Brit realized a need in the hospitality industry for a comprehensive resource for those waiting tables. His experience, coupled with his desire for continual professional improvement, led to the creation of A Waiter’s Companion. Brit hopes that this book will not only elevate the quality of service for all who enjoy eating out, but also provide a tool for managers and restaurant owners to utilize towards that end. Brit lives in Boulder, Colorado.